History has been around as long as there have been humans telling stories of the past. But, history did not emerge as an academic endeavor until the ancient Greeks, specifically Herodotus and Thucydides, began examining evidence more critically thereby creating the beginnings of a historical methodology. History is absolutely critical to the development of any society as it is what preserves the traditions, customs, and precedents of a society while creating cultural identity. Without history, we could not claim anything about the so-called “Framers” of the Constitution and what they intended in that document. 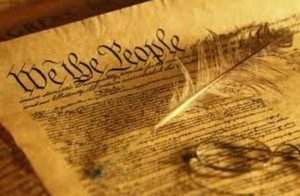 Without history, we would not know that those “Framers” had extensive knowledge of the workings of the Roman Republic or the ancient Athenian democracy and that they used that knowledge when crafting their new government. In short, we cannot know who we are and where we are going until we know where we have been. For those interested in learning more about the value of history, the American Historical Association has published a very useful read entitled “Why Study History?” which not only sums up the moral imperative but also the practical value of the study of history. The historians here at Northwest represent a broad range of thematic frameworks, regions, as well as historical time periods. We have everything from a gender historian of the modern United States (Dr. Elyssa Ford) to a political historian of ancient Greece and Rome (Dr. Dawn Gilley), from a technological historian of the United States (Dr. Rob Voss) to a migration/immigration historian of modern Europe (Dr. Devlin Scofield). We even have a pacific rim specialist (Mr. Matthew Johnson), an early modern/modern British historian (Dr. Joel Benson), and an economic historian (Ms. Dana Ternus). Our interests are broad, and you will see that many of us teach and research in multiple areas. 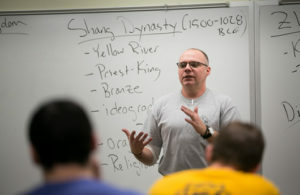 There are two basic programs of study in History at Northwest: the Bachelor of Arts in History (BA) and the Bachelor of Science in History (BS). Both programs share a core set of requirements (12 credit hours) and three regional areas: American, European, and World. Students choose the courses they want to take in the regional areas to fulfill the required number of hours. The only difference between the two programs is that the Bachelor of Arts in History is three credit hours smaller because it requires 9 hours of a foreign language. The BA in History is for those who want to continue on to graduate school in History since graduate school requires a foreign language. Instead of the extra 9 hours of a language, the BS in History has extra courses in History or its corollary disciplines and is designed for anyone with a genuine interest in the field and no definite plans for graduate school. There is also a 21 credit hour History minor, which is a much smaller version of the BA and BS majors with their American, European, and World areas. We also have a growing Public History and Museum Studies minor for those interested in working in those areas of the public sector that present history to the masses. This interdisciplinary program provides every student with hands on experience creating museum exhibits and working in archives. Contact Dr. Ford for further information on this program (ebford@nwmissouri.edu). Are you interested in teaching history at the middle school or high school level? Visit the Social Science Education page for information. Consult the Undergraduate Catalog for more specific requirements on any of the above programs or you can contact any of the History faculty via email. You can even contact us here at DH Northwest.